Posted on: November 27th, 2018	by Jennifer A. 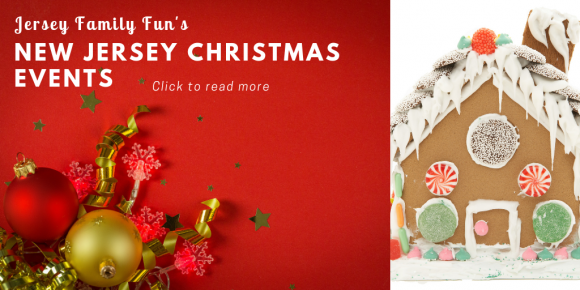 Our guide to Holiday and Christmas Family Fun in New Jersey was originally published in 2014. 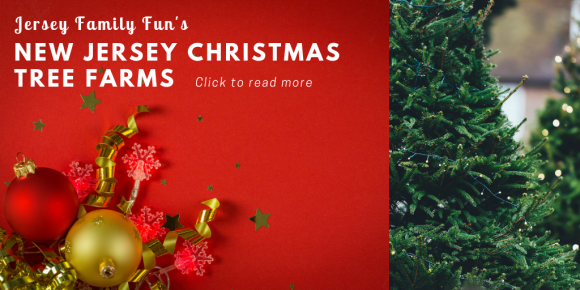 We update this annually and frequently throughout the holiday to bring you the best information on Christmas family fun in New Jersey. To advertise on this page contact Jennifer Auer, Jersey Family Fun publisher at jenniferauer@jerseyfamilyfun.com. 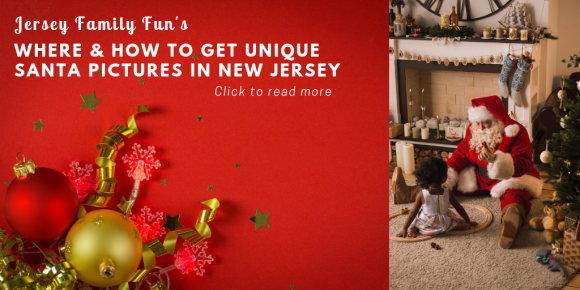 Celebrating Christmas in New Jersey with New Jersey Christmas family fun…! If your family is anything like mine though, December can be hectic, very hectic. We’re trying to squeeze in family time, tree decorating, Christmas card sending, holiday movie watching, baking, Santa visits, gift shopping and more. We’re here to help you eliminate the mom guilt over not doing enough New Jersey Christmas family fun activities with our kids. 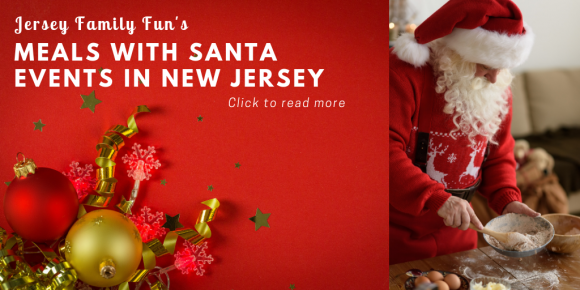 We can help you have New Jersey Christmas family fun with just a few clicks around our website! 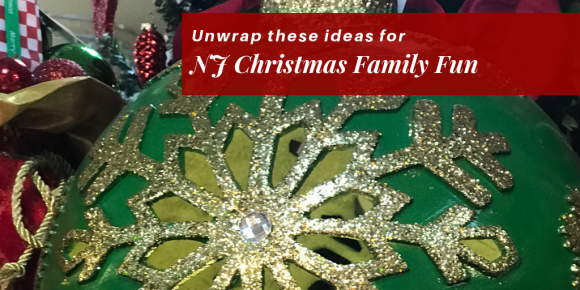 Just take a look at our ideas below and click over to our ways to celebrate a New Jersey Christmas with kids. Merry Christmas! Twinkle twinkle little lights, oh how children love Christmas lights so bright. Old fashioned or modern, all white or a rainbow of colors, New Jersey holiday lights will make your heart flutter. In New Jersey, we have Christmas lights at zoos, parks, neighborhoods and family attractions. Some charge admission, but many are free. Every year, our listing of New Jersey Christmas lights displays is one of our most popular guides to Christmas family fun in New Jersey. Our listing helps you find Christmas light attractions in North Jersey, Central Jersey, and South Jersey. Not only that but this year we are making it even better with the addition of videos. As part of our Friday Night Lights series, we are visiting New Jersey Christmas attractions with Christmas lights. We’ll record live videos for Facebook and YouTube. You can then watch those videos and find a local New Jersey Christmas Light Display in our New Jersey Christmas Lights Displays blog post or as part of our YouTube playlist of the best Christmas lights in New Jersey. 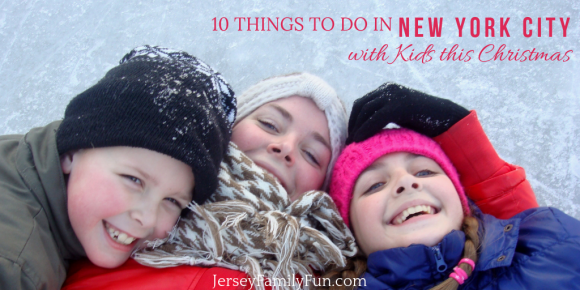 Looking for New Jersey Christmas Events for kids? Read our list of New Jersey Christmas Events including Free and almost FREE NJ Christmas events. parades, concerts, tree lightings, and more. Many are already on our Calendar of Events. Coming soon our listing of the best New Jersey Christmas events. Scouts lead a color guard. Marching bands march down Main Street. Dancers perform their latest routine. Businesses toss candy from their floats. And everyone waits in joyful anticipation of the guest of honor, Santa. It’s a Christmas parade and many New Jersey towns have one. 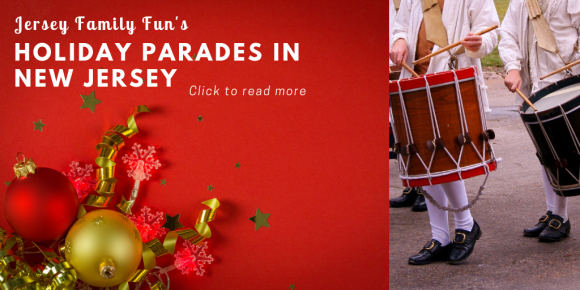 We help you find your local holiday parades in New Jersey with our holiday events with parades linked together here New Jersey holiday parades. There’s a lot so make sure you keep scrolling and clicking from page to page to find the holiday parade near you. Be part of a community celebration with a NJ Christmas tree lighting. It seems every town has a tree just right for lighting! When they flip the switch there’s usually a fun New Jersey holiday event to go with it. Don’t miss out on carolers, hot chocolate in the park, Santa and other characters and more. We’ve got the details on must visit New Jersey Christmas Tree Lightings. We have an extensive list of where to find Santa in New Jersey for Santa photos, and it goes way beyond the mall! Find him on a train, in a park, on the farm and on the ice … can you imagine a swimming Santa? We have it all and you MUST check it out! Great for taking photos with Santa for Instagram or Christmas cards! Check out our list by clicking the image below. Looking for some thrills along with the holiday cheer? Many New Jersey theme parks and zoos offer holiday events like light displays, Santa and special shows. Check out our listing of New Jersey Christmas Attractions listed by region and then county. Coming soon. At these local New Jersey Christmas Tree Farms you can tag your own tree or buy one fresh cut from the farm. Some Christmas tree farms have wagon rides, Santa, smores and more! We’re sharing where the New Jersey Christmas Tree Farms are by county. We can help you find local Christmas Tree Farms in New Jersey. Is dining with Santa on your holiday bucket list? We hear he loves pancakes, but not just pancakes! Santa loves dining out for lunch and dinner too. This holiday season you can find breakfasts with Santa, lunches with Santa, and even dinner events with Santa ALL over New Jersey. Check out our great list at the link below! It’s the time of year for some elaborate and festive Christmas train display shows! Let us show you where your family can see and fall in love with Christmas train sets on display. We have a list of where you can find these Christmas trains throughout New Jersey. 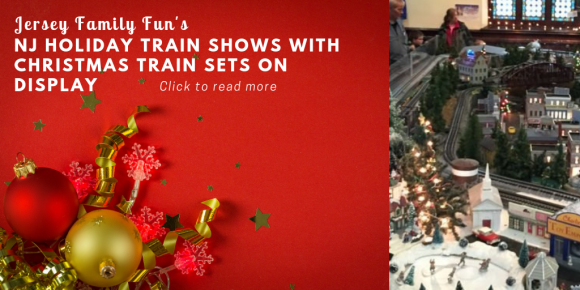 Our listings include details, picture, schedules, and admission prices on New Jersey Holiday Christmas Train shows all across New Jersey. Click over for more details. The glow of all of the holiday lights, the smell of cookies baking in the oven and of course the anticipation for the arrival of the man of honor-Santa Claus! New Jersey train rides with Santa are just another way to celebrate the wonder of the season. With surprise destinations to the North Pole, amazing visitors such as Santa and his elves and delicious on board refreshments, you are bound to have an adventure that will amaze your entire family. Click over to our listing of New Jersey Christmas Train Rides for the details on New Jersey Holiday Trains: Santa Express, Polar Express, and other NJ train rides with Santa we think your family will enjoy during the holidays. 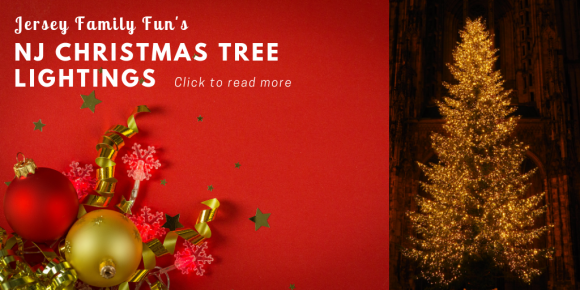 Do you love seeing different Christmas trees and how they are decorated? Do you need inspiration for your own Christmas tree? You need to visit a local Festival of Trees! These festive and creative Christmas events will be one of your new favorite holiday outings for Christmas family fun in New Jersey. 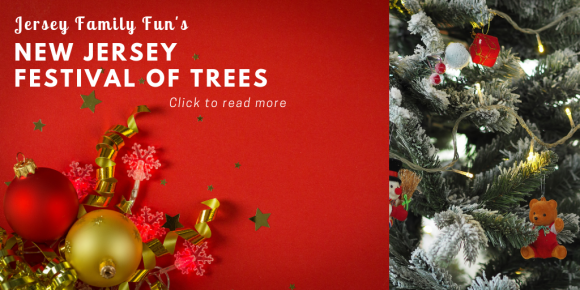 Our listing of New Jersey Festival of Trees helps you find a display of Christmas trees near you. Jesus is the reason for the season. 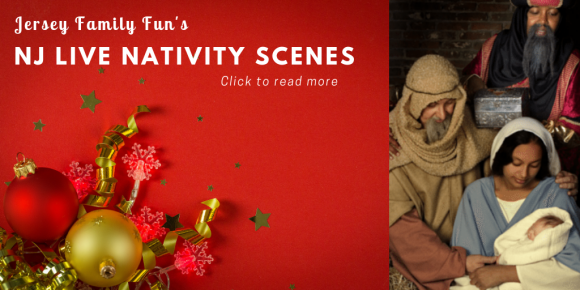 If your children need a reminder or they would love to see a biblical story acted out visiting a live nativity scene is a beautiful way to do that. Across New Jersey we have local church congregations that come together to recreate the event of the nativity. They are often outside and at night, and many have multiple scenes and live animals and refreshments. Our listing of New Jersey Live Nativities helps you find a Live Nativity near you. Make a trip across a bridge to explore more local Christmas Family Fun. We support family fun in New Jersey but sometimes there’s no comparison to what our nearby cities can offer. 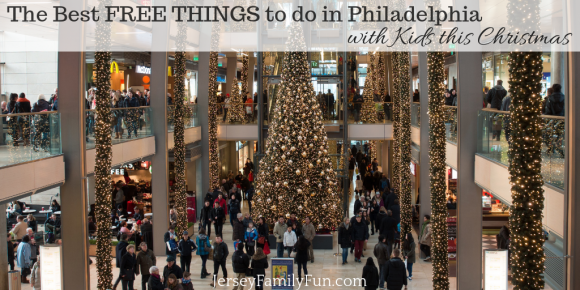 Both Philadelphia and New York City offer some amazing holiday displays, events, and Christmas attractions. We have your information on how to make a day of Christmas in the City! Click on any of the links below for more details. All year long we encourage family experiences over things and the holidays are no exception. This year why not gift tickets, memberships, or season passes. Click below for some of our favorite offers from local attractions that your family will love. 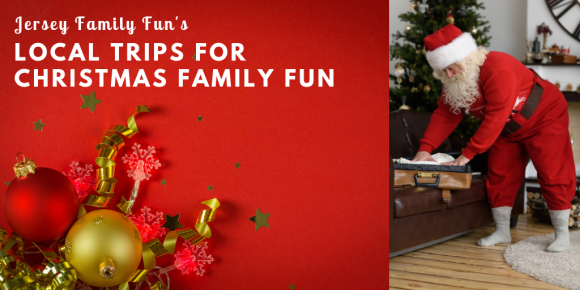 Look for more helpful Holiday and Christmas Information in our Ultimate Guide to Christmas Family Fun With Kids. and even a Christmas TV guide that lets you know when all the Holiday and Christmas TV specials are playing. 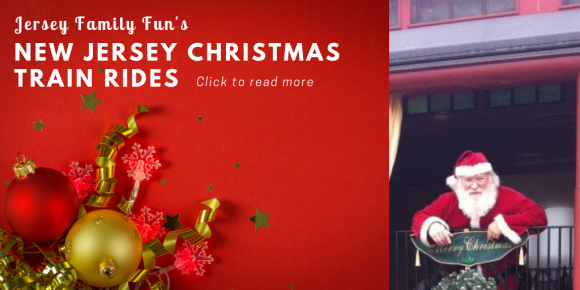 Click over to our Ultimate Guide to Christmas Family Fun With Kids.